ASAP was proud to be one of 8,000 communities across the nation taking part in the 15th annual Lights On After School on October 23, 2014. Lights On celebrates after school programs and their important role in the lives of children, families, and communities. 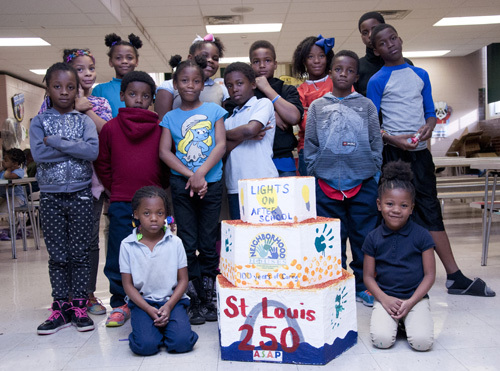 Dozens of ASAP programs participated in this year's event, hosting programs such as a balloon launch carrying students' favorite aspects of after school, an stl250 cake design, talent show, and t-shirt decorations. Photos below are from ASAP sites at Jefferson (operated by Provident), Patrick Henry (Neighborhood Houses), and Sigel (Neighborhood Houses) elementary schools and St. Frances Cabrini (YWCA). 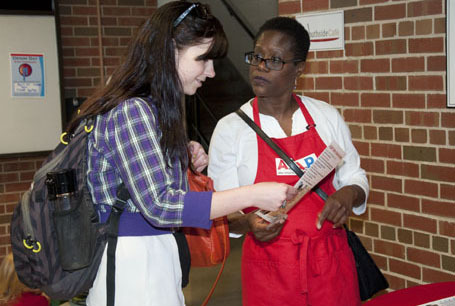 University of Missouri-St. Louis (UMSL) College of Education students learned about job opportunities with ASAP's six providers that serve more than 2,300 students at 29 after school locations at a job fair on September 4, 2014. By working at an ASAP program, instead of a traditional part time job in retail or food service, UMSL COE students will gain real life career and educational experience. ASAP's program staffs, students, and parents will benefit from the student's coursework at UMSL COE related to best practices in early childhood and K-12 education. ARCHS and UMSL's College of Education formed a partnership earlier this year that provides students with the opportunity to secure part-time employment at an ASAP program site for the 2014-2015 school year. ASAP students at Laclede and Mann elementary schools are using grants from Monsanto to create evidence-based solutions that promote science for after school students. 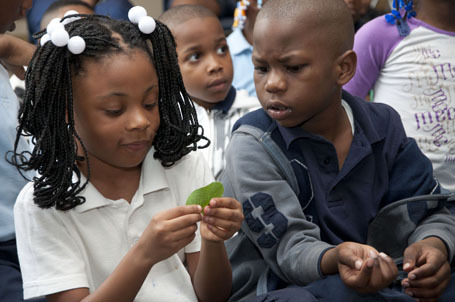 This month, Monsanto presented the two ASAP programs with $1,000 Dannette Ward Science Education grants. The grants will be used to complete an outdoor ecosystem at Mann Elementary, and will assist Laclede Elementary with a school-wide science fair that takes place during the after school hours. "The funds will be used to emphasize science education, highlight collaboration between the school and the ASAP after school programs, as well as a recruitment tool to show students the kinds of fun and educational activities that take place in after school programs," said Gloria Hampton, Director of After School Programs at Neighborhood Houses. Founded in 2007, ASAP is a community effort to increase the quality and access to after school programs in the Greater St. Louis area. More than 2,200 students are served through ASAP each year. ARCHS and the University of Missouri-St. Louis (UMSL) College of Education (COE) have launched a new partnership that will provide UMSL COE students with the opportunity to secure part-time employment at an After School for All Partnership (ASAP) program site during the 2014-2015 school year. 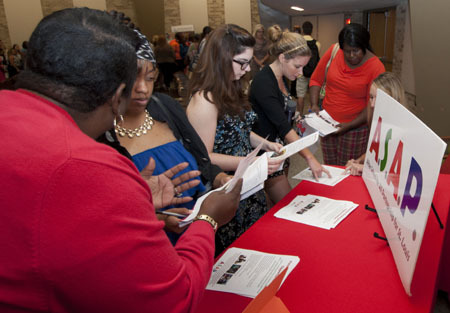 At the ASAP Employment Resource Fair on April 28, 2014, UMSL COE students networked with ASAP's six providers that serve more than 2,300 students at 29 after school locations. By working at an ASAP program, instead of a traditional part time job in retail or food service, UMSL COE students will gain real life career and educational experience. ASAP's program staffs, students, and parents will benefit from the students' coursework at UMSL COE related to best practices in early childhood and K-12 education. 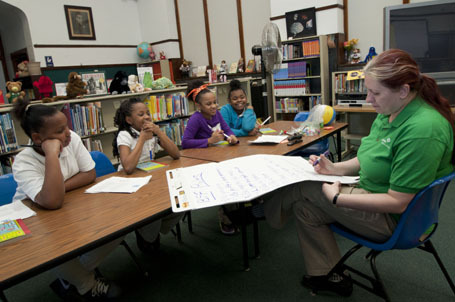 ARCHS has formed new partnerships with the Girl Scouts of Eastern Missouri and Saint Louis University to enhance the quality of programming in its After School for All Partnership for St. Louis (ASAP) students. The Girls Scouts are currently turning ASAP students into leaders through its character development curriculum, "Be a Friend First" (BFF), at five after school sites. BFF is an eight-week program created to help girls develop healthy relationship skills, understand relational aggression, and learn about conflict resolution and bullying prevention. "After school programs are a great forum to reach girls for non-formal instruction. One of the aims of ASAP is to build student social and life skills and develop character," said Michelle Johnson, Grant Programs Manager for the Girls Scouts of Eastern Missouri. Johnson believes BFF not only builds character, but it also helps strengthen self-confidence, identifies bully exclusive behaviors, teaches how to resolve conflicts peacefully and constructively, builds trusting relationships with classmates, and helps girls to feel empowered to create a culture of peace. "Girls will work on a project of their own design to address bullying in their school and this kind of taking action is key to Girl Scouts -making the world a better place," Johnson said. The program, which is based on the Girl Scouts national leadership curriculum, is currently being taught at ASAP after school sites at Adams Park Community Center, and Dunbar, Fairview, Hanrahan, and Mann elementary schools. Saint Louis University's "1,000 Tickets Initiative"
ASAP after school students are going blue for winter through a new partnership that is providing tickets to Saint Louis Billikens men's basketball games.